I've seen a few of these birds at my university located in the extreme south of Brazil. I noticed they usually stay on wet areas and like to eat small critters, such as worms and young tadpoles (I'm not completely sure about the last one). I also noticed they usually stay alone in a particular area or, at maximum, two in the same location. Also, here we also have many Southern Lapwings, which are in the breeding season, and one of them sometimes attacks the bird in the picture (for apparently no reason). When attacked by the Lapwing, this bird bristles the feathers of his neck and just dodges the Lapwing's attacks. Does someone know what bird is this? P.S. : Sorry for the bad picture. I couldn't get closer to it. 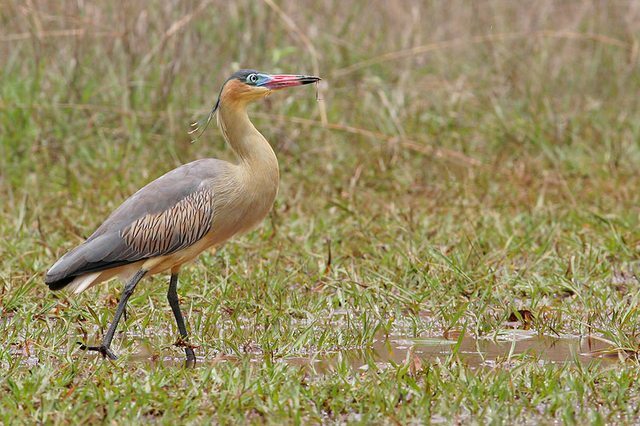 That is Syrigma sibilatrix, the whistling heron. In Brazil we call it "maria-faceira". Wiki Aves is by far the best source for birds in Brazil. It is a very well documented and reliable source, maintained by great ornithologists. 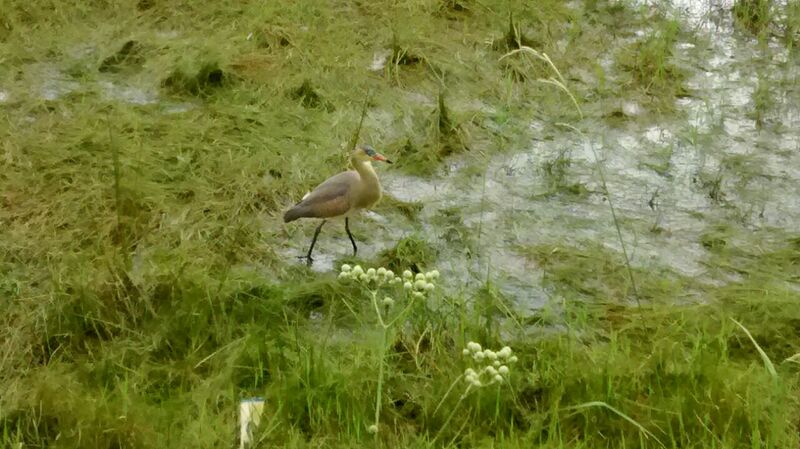 PS: Regarding the Southern lapwings: they are not really attacking, they are just trying to drive off the intruder. And there is a reason: the lapwings nest on the ground. I was "attacked" by them several times (I'm from the Southern Brazil), when I inadvertently approached their nest. Not the answer you're looking for? Browse other questions tagged species-identification ornithology or ask your own question.